HIGH traffic in a fast, growing area in Phoenix. 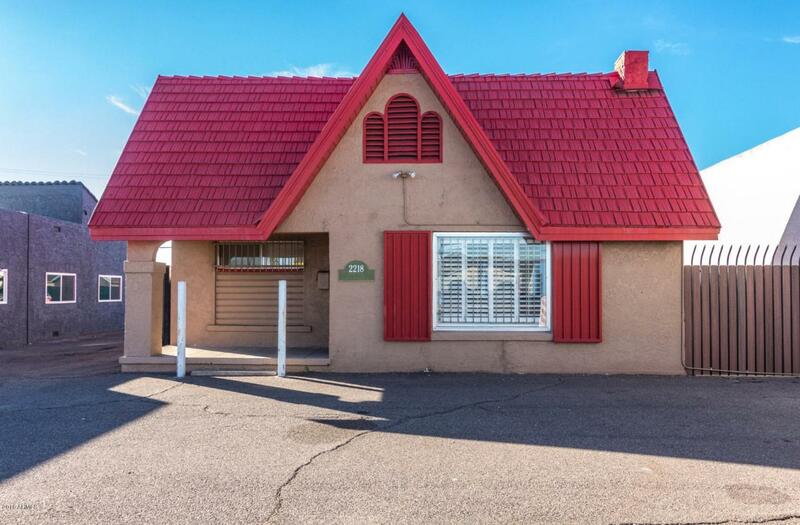 Recently remodeled free standing vintage building zoned C-2 for most office or retail use. Build-out includes lobby with fireplace, 4 offices and full restroom. Recently painted inside and out, wood-style floors, wooden shutters. Newer electric A/C and newer gas furnace. Pole sign, 4 front parking spaces & 6 covered fenced rear spaces.